Our super cute Springer puppy breed cards are simply pawfect for welcoming fluffy new arrivals or adding to puppy packs. 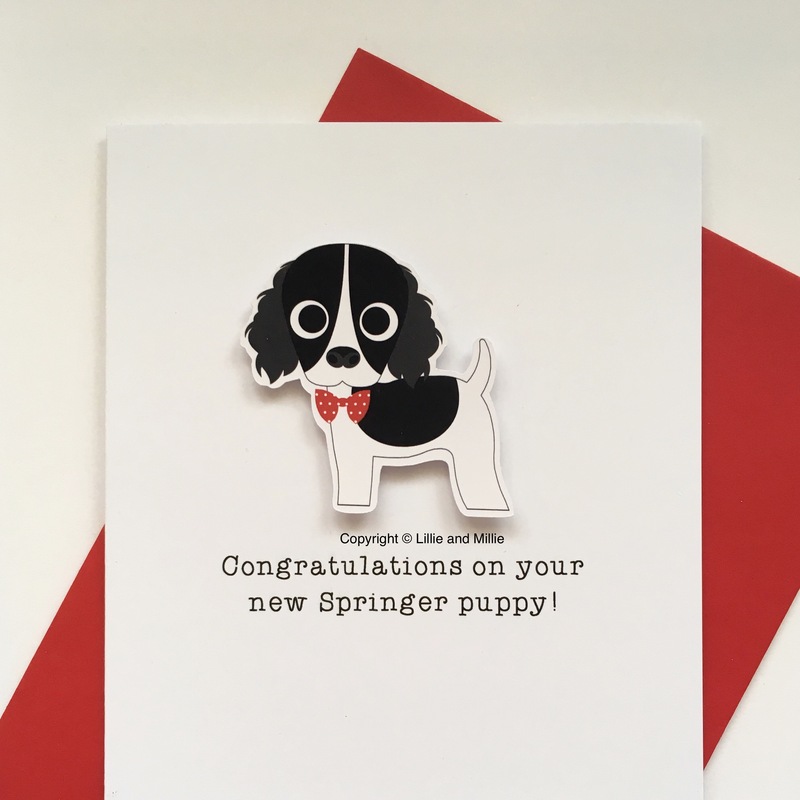 Our super cute black and white Springer Spaniel puppy card with red bow tie. Left blank inside for your special message. If you wish to purchase from outside the UK please contact us for shipping costs before you purchase. 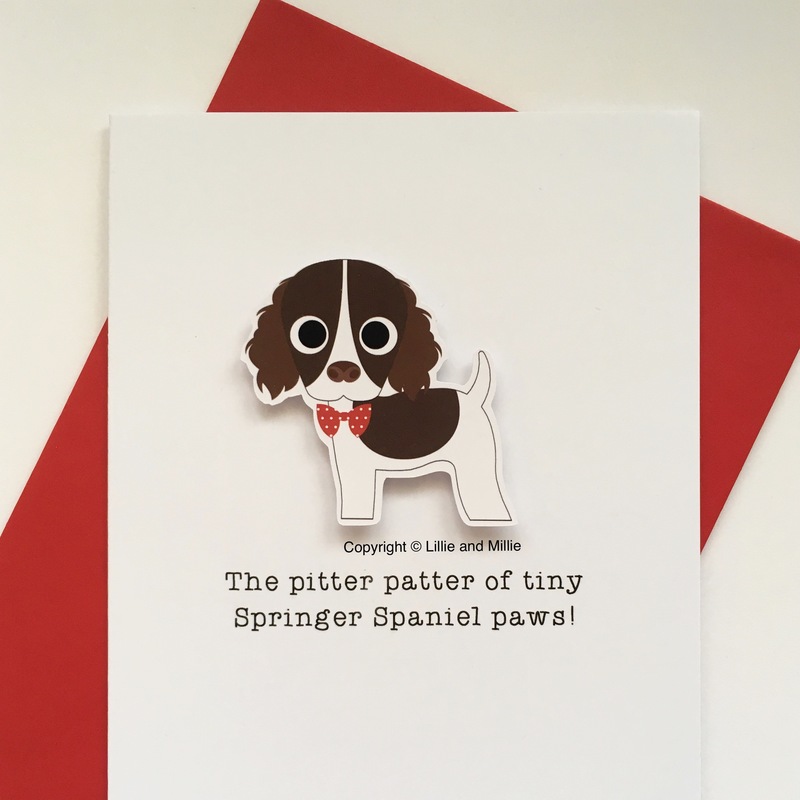 Our super cute liver and white Springer Spaniel puppy card with red bow tie. Left blank inside for your special message. If you wish to purchase from outside the UK please contact us for shipping costs before you purchase.